On August 15, 2018, Fall Line Patents, LLC asserted U.S. Patent No. 9,454,748 against a number of companies. Specifically, Fall Line alleged in nine separate lawsuits that the mobile applications provided by AMC Entertainment, McDonald’s, Boston Market, Panda Express, Papa John’s, Pizza Hut, Regal Cinemas, Starbucks, and Zoe’s Kitchen directly infringe at least Claim 1 of the ‘748 patent. All of the lawsuits were filed in the Eastern District of Texas and request permanent injunctions as well as damages. (h) storing said response at said server. In addition to allegations of direct infringement of Claim 1, the complaints also make certain allegations regarding indirect infringement based on customer use of the accused mobile applications. But patent eligibility may not even be Fall Line’s biggest problem. The ‘748 patent is a continuation of another patent, U.S. Patent No. 7,822,816. Not only did that patent have all its claims canceled in an ex parte reexam, but the original assignee of the ‘748 patent had to file a terminal disclaimer to overcome the ‘816 patent for the ‘748 patent to issue in the first place. As you might be aware, when a terminal disclaimer is filed, the patent applicant agrees not only to a shortened patent term but also that the later-filed patent will only be enforceable so long as both patents are commonly owned. But according to the USPTO’s assignment database, Fall Line only owns the ‘748 patent while the ‘816 patent is still owned by the original assignee, Macrosolve. What’s more, the ‘748 patent even had an intervening assignment from Macrosolve to another company before that company ultimately assigned the ‘748 patent to Fall Line. So it looks like the ‘748 patent might be unenforceable. Despite this, Fall Line has sued not only the nine companies listed above but also a number of other companies earlier this year for infringement of the same patent. Those companies include American Airlines, Uber, and GrubHub. Perhaps Fall Line has a reason it believes the ‘748 patent is still enforceable, but at first glance it looks like they have filed a bunch of nuisance lawsuits meant to coerce settlements out of the defendants. Using the USPTO assignment database is not a strict requirement. There may indeed be a silent “sweetheart” deal that preserves the co-ownership aspect required for enforcing the child patent. This is a case though wherein absent good cause (e.g., the “secret” deal), sanctions against the attorneys filing suit may well be justified. Upon first reading, I was confused as to the purpose of your article. In one breath you seemingly criticize the plaintiff for filing the case, yet in the next breath you seemingly admit that the law of patentable subject matter is unsettled under Alice. After further reflection, it occurred to me that the article is seemingly an attempt to get one of the accused infringers to hire you to defend them in the case. One thing is clear, however. Patents are presumed valid under federal statutory law. 35 U.S.C. 282. I think that you are over-reacting. First, in the author’s bio, there is no indication that post grant defense is an aspect of the author’s business. Rather, the emphasis appears to be prep and pros. Secondly, you err in asserting that the statutory presumption is in play. That is explicitly one of the sticks in the bundle of property rights (be that Public Franchise or Private Personal) that is taken at the Institution Decision point. That being said, there are several wrinkles here that may be worth exploring (including the fact that “agency” may not shield the actual party in interest behind “Unified Patents,” as the business model of Unified Patents has taken a blow in a somewhat recent case. Thanks for the nice article John. Do you (or anyone) have a pacer-free copy of or link to any of the complaints, please. On August 24, 2018, the SCOTUS was asked via a petition for a writ of certiorari to determine whether facts matter. The patent environment sure is a funny world especially when the idea is to create to benefit society. Did SCOTUS create a new judicial exception in Mayo v. Prometheus? I ask this question in more detail in The Fourth Judicial Exception. Does the issue of “well-understood, routine, conventional activity” — I think SCOTUS meant praxis and not activity — occur in any decision before Mayo v. Prometheus? It should be obvious that factual determination should be required if a party argues that a claim only recites a “well-understood, routine, conventional activity” in addition to the judicial exception to which the claim is directed. For example, joining via insertion (engineering fit) is a “well-understood, routine, conventional activity” in construction, carpentry, and other assembly situations, but this praxis is not obviously a well-understood, routine, conventional activity in dentistry or in medical areas. Praxis is exactly our argument. And the MPEP/official USPTO memos support the analysis must be the same field of technology. However, this approach is not followed by people in authority. For judges and patent examiners to say my process is well understood, routine and conventional when my solution escaped professionals and experts for 62 years (inception of the federal program), implies those professionals and experts in my field must be morons. Logically, it implies the patent examiner and judges do not understand the level of my invention or do not care to understand the level. Ironically, many of the experts in my field also hold law degrees (disability attorneys), law degrees just like the judges and many patent examiners who judge my solution. Such is expresly NOT “directed to,” but instead falls into the trap to be aware of as set forth by the Court (mere recitation, setting forth, or describing is NOT to be taken as “directed to,” which instead must come from evaluating the claim as a whole). It is NOT just the litigators, and in fact, it is the prosecutors that take greater exceptions to the errors of the MPEP. You also trip upon yourself in view of the mathematical prowess that you may have. “math” is only at the simplest and purest level (the fundamental building block level). “applied math” is any subsequent use of the fundamental building blocks in an application of those building blocks (more typically known as engineering), and to which the “proper filter,” is LESS the statutory category and MORE the utility within the Useful Arts. Math(S) is the overarching “philosophy” that envelopes both “math” and “applied math,” and may include higher level discussions of computability. Such must not be confused with the “fundamental building block” aspect. ALL should be aware that these distinctions are purposefully obfuscated by those with “feelings” that software should not be patent eligible. This actually sounds MORE in how the Court has decided to disregard the Act of 1952, and the creation of 35 USC 103 (see the writings of Judge Rich). It should be kept in mind that Congress created 103 to combat what the Courts were doing with “Gist of the invention.” What you see here is the Court “creating” a different tactic trying to get around the fact that Congress took an initially single paragraph and broke that paragraph into different sections. So it is not quite correct to say “a fourth exception,” and it is more correct to say “a path to ignore what Congress did in order for the Court to reanimate and keep alive their common-law law writing power that existed prior to the Act of 1952 WHEN the Court had scrivened their three exceptions. The “many patent examiners” do NOT hold law degrees, concerned. While some no doubt do, such is not a requirement for patent examiners. Also, please be wary of the “same field of technology” position, as that is (post KSR) no longer strictly true. This is but one more additional reason why Justices writing patent law from the Bench is a bad idea. Nowhere in what Congress has written can this concern about “field of conventionality” find a legal foundation. I don’t elevate the MPEP. I know it is is merely intended to be helpful within the USPTO. I point it out because I suspect that whoever wrote MPEP 2106 tried to make sense of SCOTUS’ patent-eligibility doctrine and gave up by adding “Can analysis be streamlined?” step. You are overreading what I wrote. It’s easy because I overwrite. I am trying to make a simple point. 1) SCOTUS found the Prometheus claims patent-ineligible in Mayo v. Prometheus. I am making no comment on the propriety of the decision or on its logic. 2) SCOTUS made the Alice v. CLS Bank decision and described the Alice/Mayo two-part test by which patent-eligibility can be determined. I am not going to argue the quality of the test. 3) If one applies the Alice/Mayo two-part test to the Prometheus claims, one finds the Prometheus claims to be patent-eligible. Thus in two decisions, which should have been simple, SCOTUS made US patent law logically inconsistent. In other words, from first principles one can prove p and ~p. 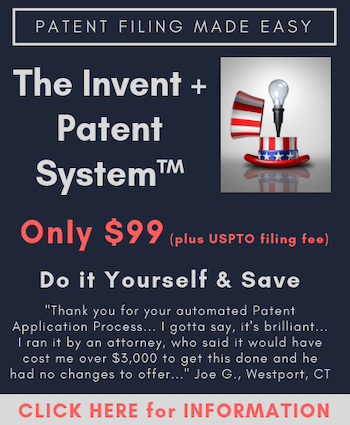 How can the patent system continue to function in this state? Judge Plager has recently made exactly this point. The USPTO in their official memos and MPEP specifically states comparisons are in the same field of technology. The USPTO could have been silent on the matter and chose to include it. I’m going to press the issue in appeal and hope it sticks. Rules, memos, facts, documents, etc have got to matter in a legal setting.